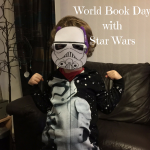 We will be celebrating this years World Book Day on March 2nd with Star Wars, dressing up as a character and reading a lovely set of books we have been sent from Egmont UK. 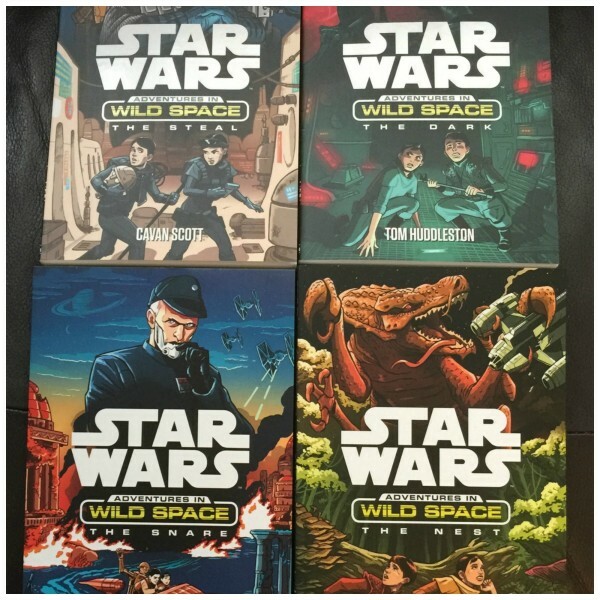 The best news is that we have a set of Star Wars Adventures in Wild Space books for one lucky reader to win too! 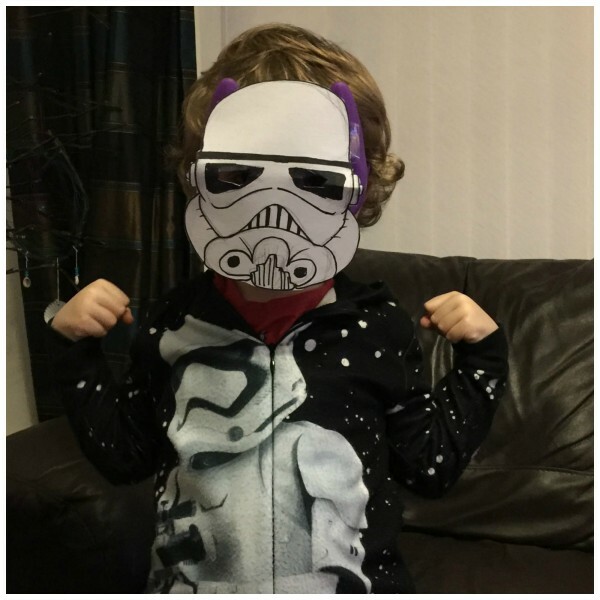 There are so many great characters to dress up as from Star Wars, and some Mummies who are very clever, and have the time, can make a fab outfit. A great idea for little ones, is to dress up as an Ewok. All you need is a brown bear onesie, and a brown T Shirt. 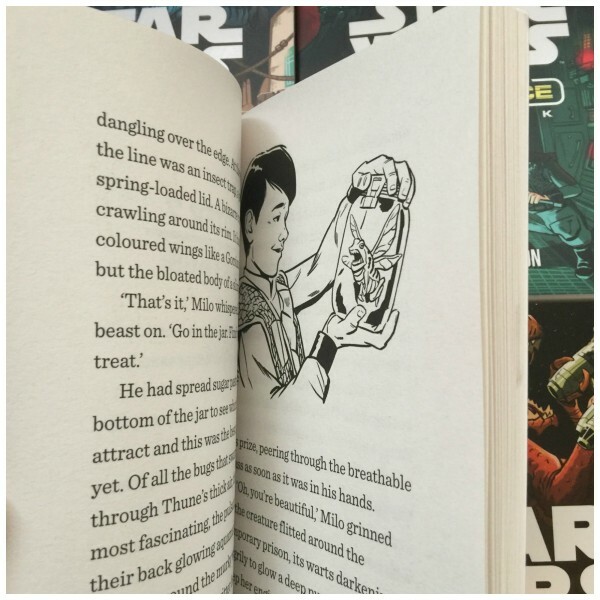 This is the cutest idea that all Star Wars fans will love. There are loads of instructions on Pinterest. 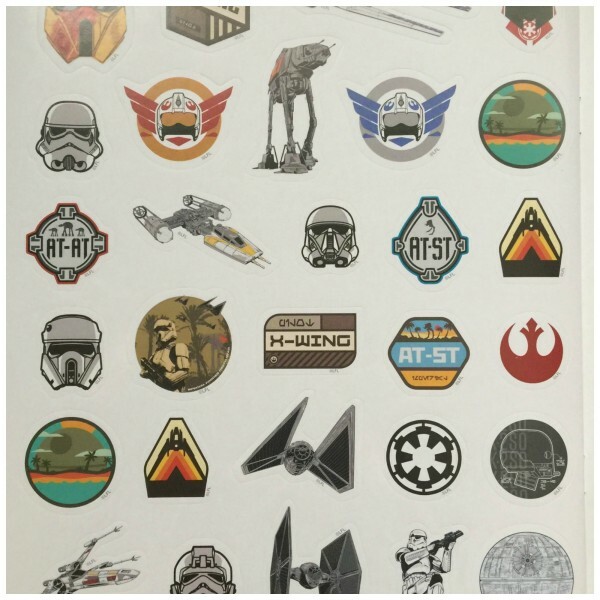 Other favourites are Luke Skywalker, Darth Vader, Princess Leia or a Storm Trooper. I am not a huge fan of masks or costumes, so Mummy was wondering what I could dress up as. 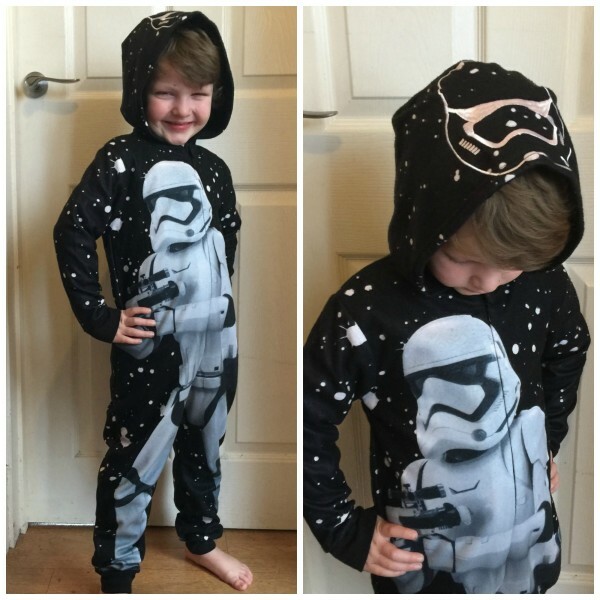 Then she spotted a brilliant Storm Trooper onesie in a shop and thought it was perfect. 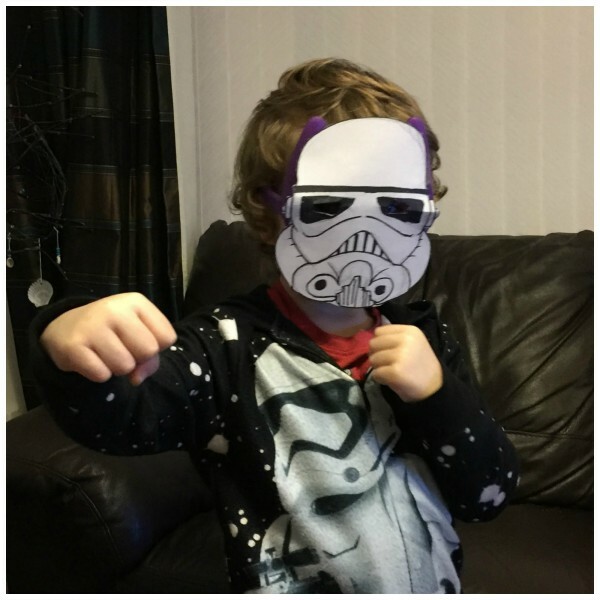 Big brother Luke drew, then cut out a Storm Trooper mask for me, and Mummy stuck it into a mask I already had, that fitted my face. 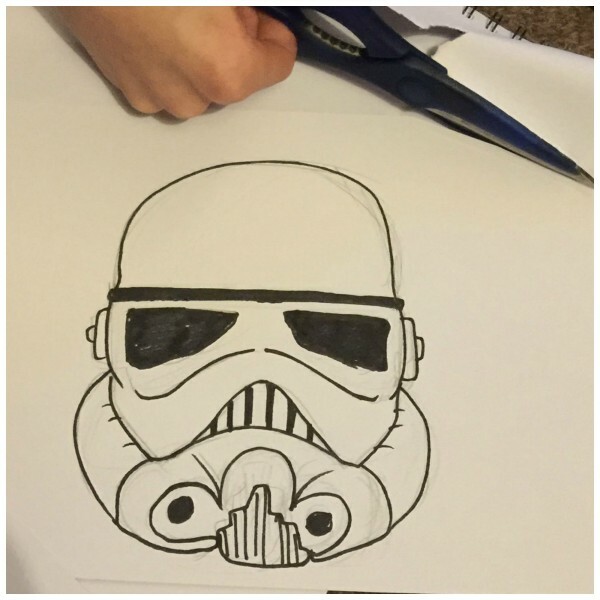 There you have it, the easiest Star Wars costume ever! 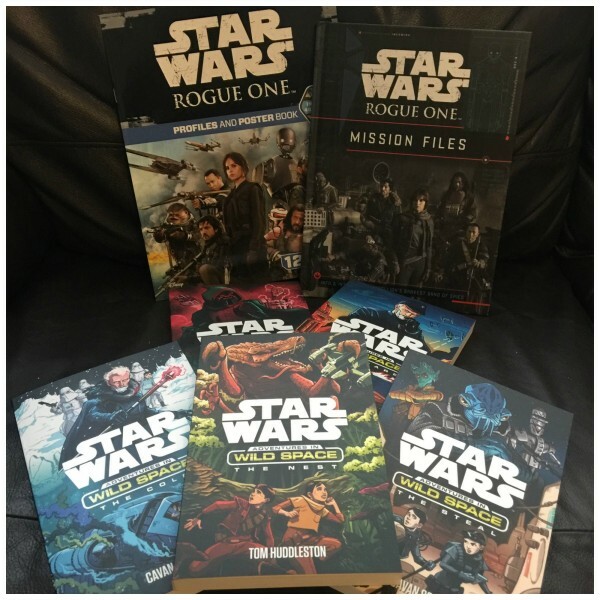 We have been sent an awesome bundle of Star Wars, Adventures in Wild Space books from Egmont UK, to celebrate World Book Day and the launch of the brand new title Star Wars: The Cold (Star Wars: Adventures in Wild Space) which is available on March 9 2017. This set of four books is aimed at 8-11 year olds, and has some black and white illustrations along with easy to read text. They are £6.99 each. My big bro was immediately taken by the covers and the graphics (He is a huge art and graphics fan, studying both for his GCSE’s). 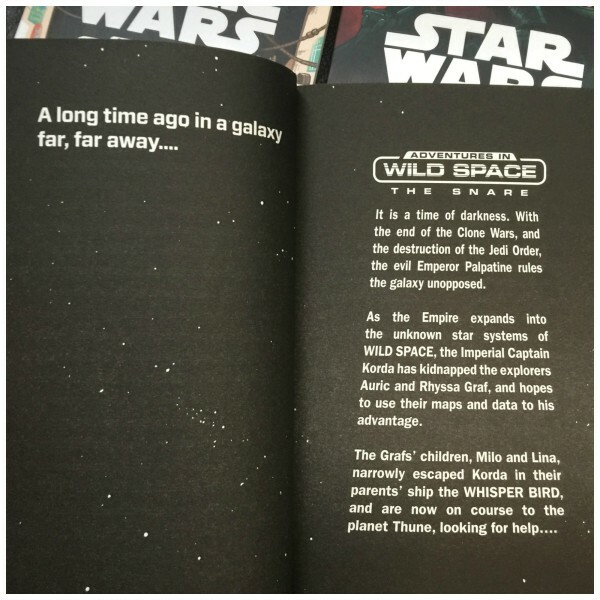 The series of books are all about Milo and Lina Graf who are searching for their kidnapped parents in a galaxy far, far away. 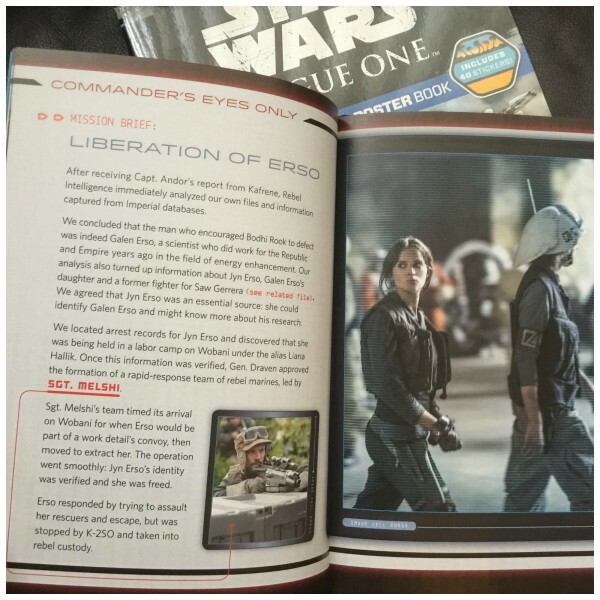 The parents are held captive by a villain, Captain Korda of the Galactic Empire. Big bro has started reading these books to me, and we are really enjoying them. 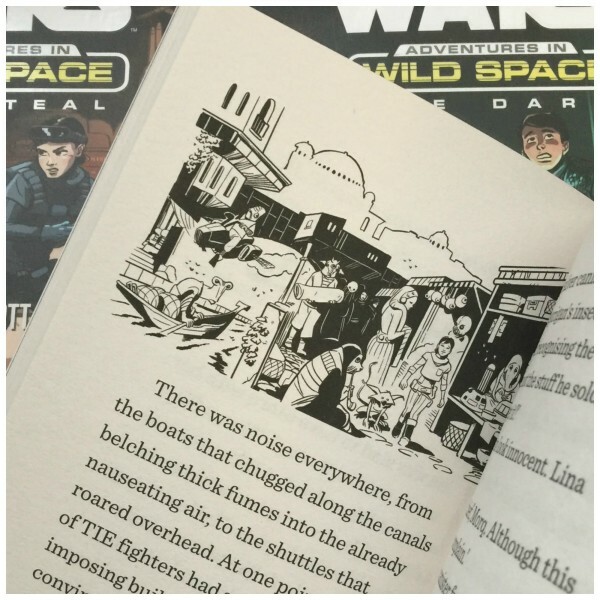 They are great for children who can read by themselves, and we can’t wait to see the traps, adventures and missions that Milo and Lina face. And will they rescue their parents? 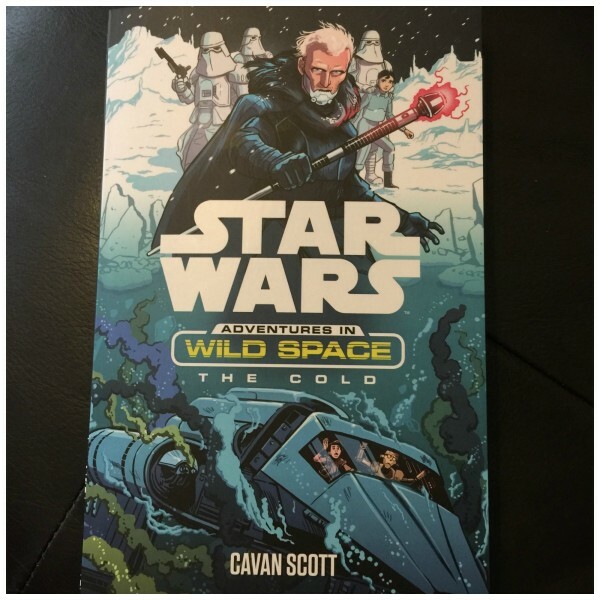 You can win a set of the Star Wars: Adventures in Wild Space series, as listed below. To enter, simply let us know who your favourite Star Wars character is. You can gain more entries every day by following the Rafflecopter instructions too. 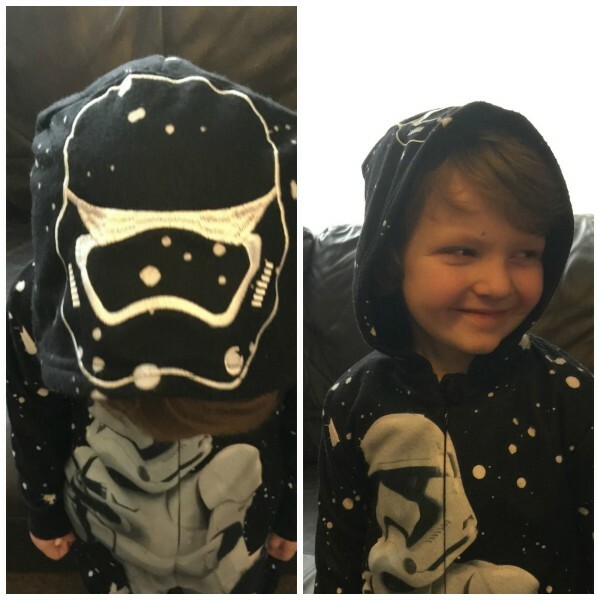 Aww Pickle looks super cute in his Star Wars outfit. It has completely passed me by about World Book Day, oops! Brilliant costume little guy! 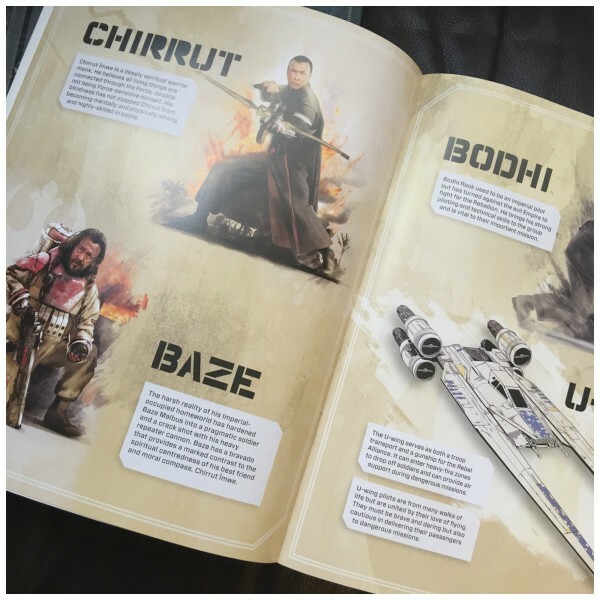 Love the Ewok idea too! We love star wars fantastic costume. 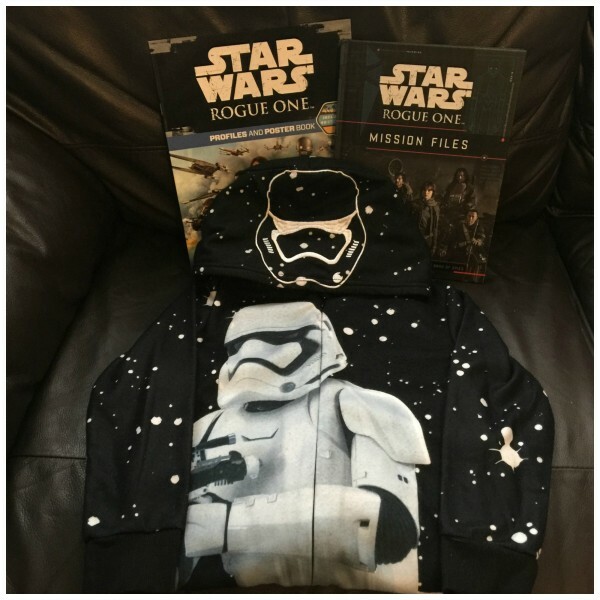 What an amazing giveaway and love the star wars outfit/mask, so cute! Definitely a very easy costume for world book day! Keeps you warm too! Love how the whole family helped put this fab costume together. 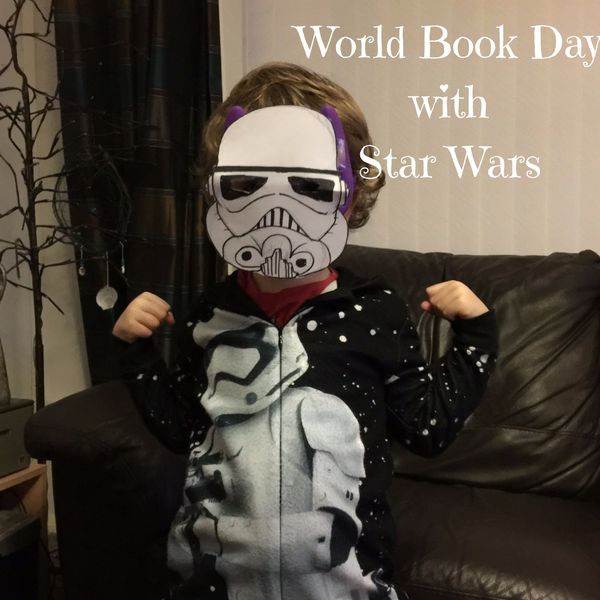 Love World Book Day and all the creativity it sparks! 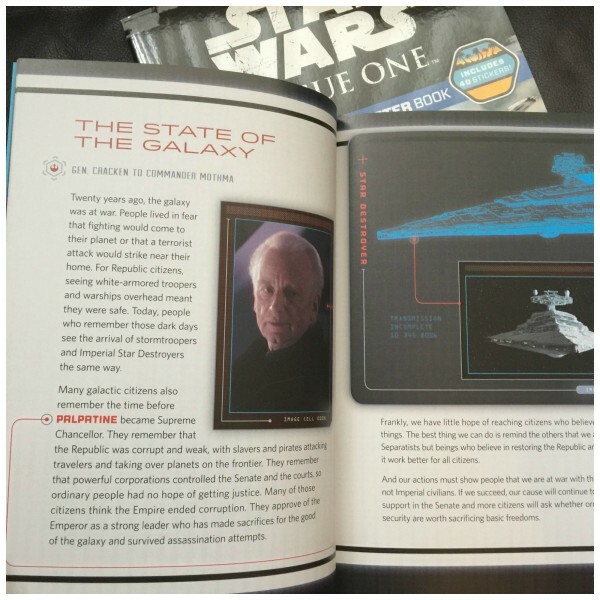 I love star wars and havd finally got my 3 year old nanny child to show an interest! STAR WARS drew me to this post. I love seeing kid so young enjoying such a timeless classic. Kudos to you! Chewbacca, looks so cuddley! 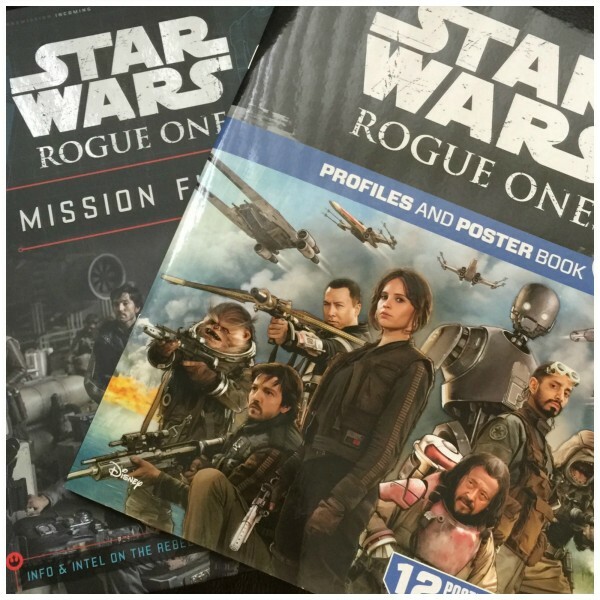 Love the giveaway,fingers crossed and May the Force be with me! Absolutely love love love this post! 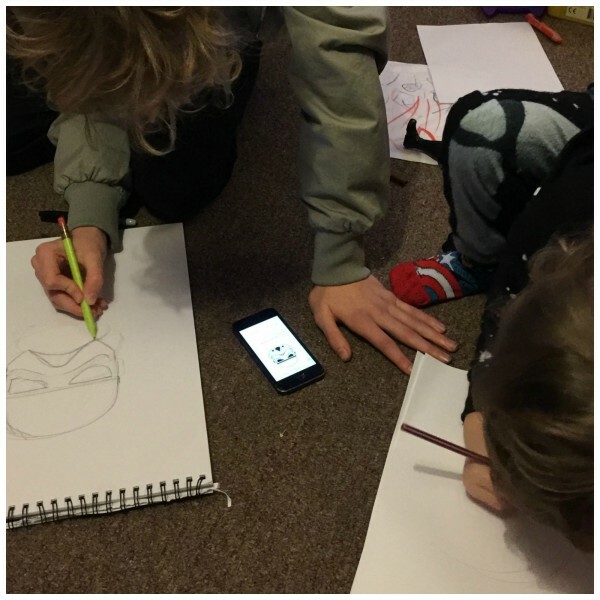 Fantastic content and I love the creativity that has gone into it! Our fave is Yoda! Boba Fett, the coolest guy in the galaxy! I can’t resist Han Solo but BB8 is incredibly cute. My favourite is CP30. He reminds me of Grandad. I do love Chewie, and always wanted a Wookie when I was younger, oh and an ewok lol. Darth Vader is my favourite! Luke Skywalker has always been my favourite.